It may come to no surprise that I love sequins. I was a dancer for more than half of my life and one of my favorite parts was the costumes! They were always dripped in sequins of all colors. I guess it comes from the dancer in me but to this day, I still love a good sequin. I fell in love with this skirt from H&M…mostly because the price tag was easy on my wallet and the length was modest. 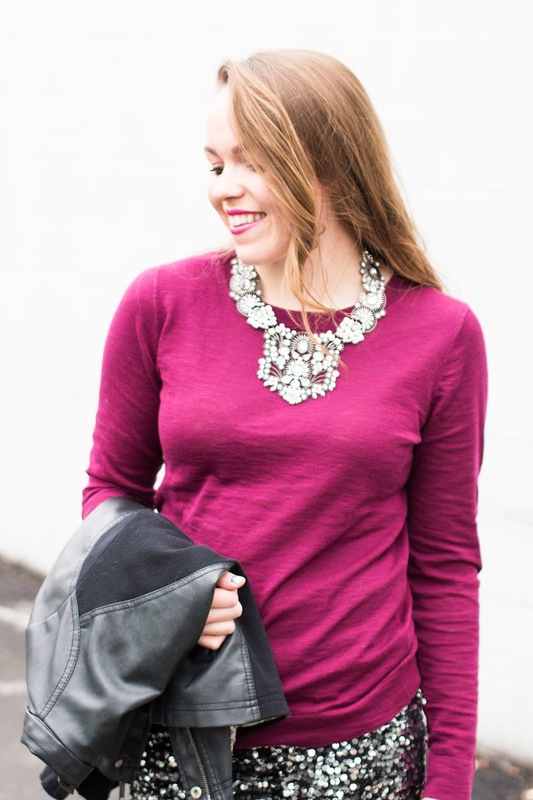 I kept the top half simple with a thin sweater and big statement necklace. The second looks which you may have seen on the weekend, is a simple sequin tee and scuba leggings. I much prefer this look, it allows me to run around during the day and keeps me much warmer during the midwest frigid winter. I've attached more sequin-goodness below. If only I was still a dancer I could order it all saying it was for my dance recital;). How about that eggplant sequin dress above? Oh, and this sequin top is fabulous. 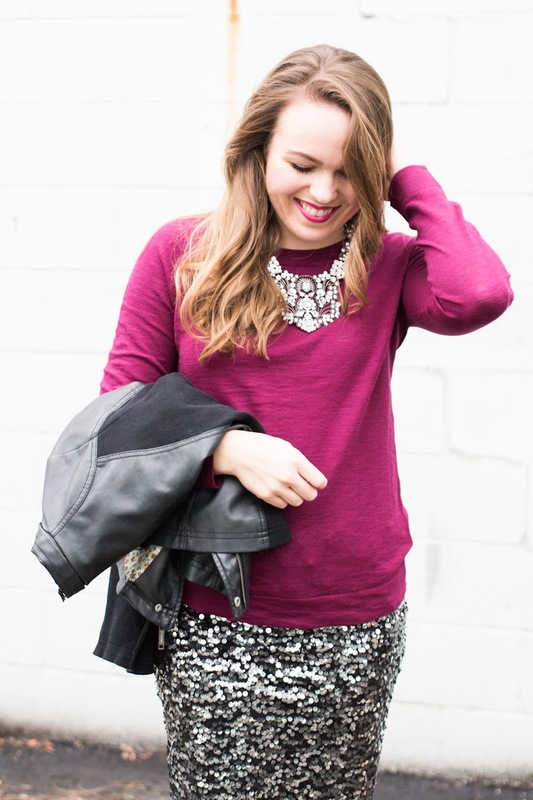 I wonder what else I can wear sequins to this season? What do you think! ?